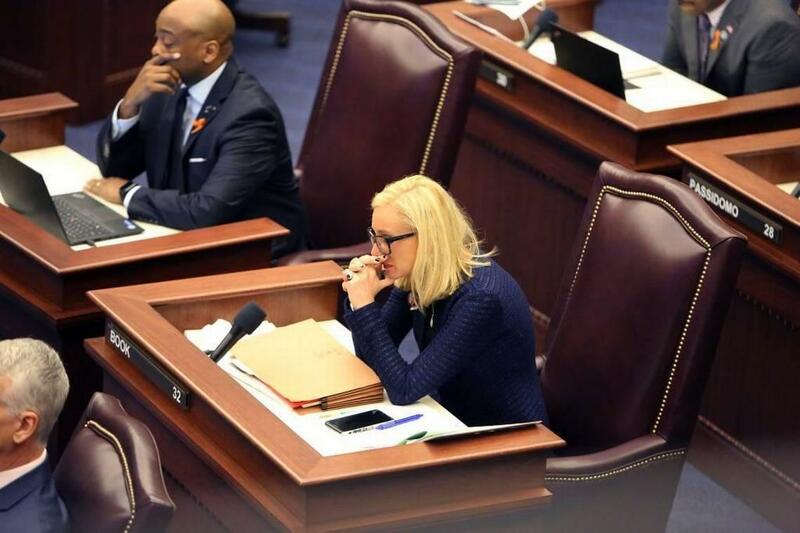 Sen. Lauren Book gets emotional on the floor of the Senate on Feb. 21, 2018, after photos of the 17 victims of the shooting at Marjory Stoneman Douglas High School were shown on a screen overhead. She prizes her position on an investigative commission. Listen here to the conversation between WLRN's Jessica Bakeman and state Sen. Lauren Book. 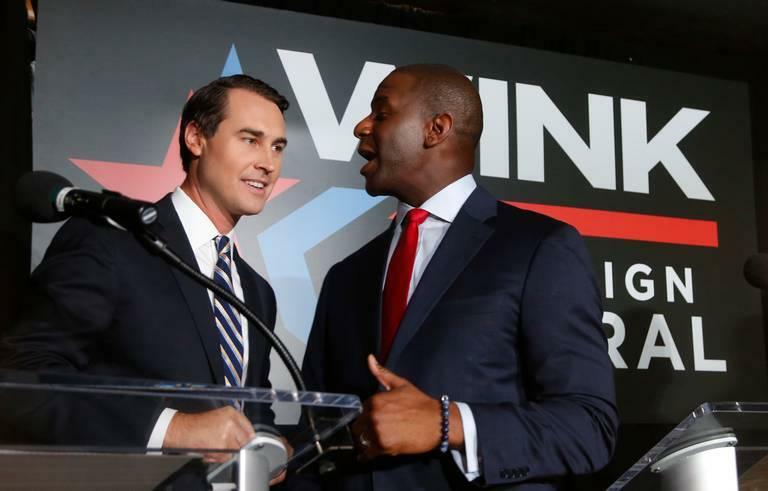 Book said Gillum did not officially ask her to be his running mate. 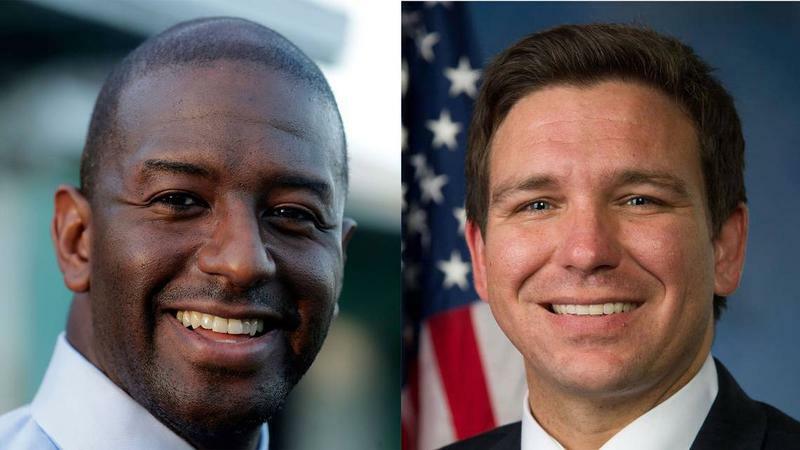 She said she discussed with Gillum’s staff that she was on a short list of potential candidates; the Gillum campaign declined to comment. But Book gave it “a lot of contemplation,” the Democrat said. She decided giving up her Senate seat — plus her position as the Senate appointee on a panel investigating the Parkland shooting — would be too big a sacrifice. She said her work on the Marjory Stoneman Douglas High School Public Safety Commission “really changed my entire trajectory and path” and how she saw “the person I want to be, the educator I want to be, the parent I want to be, the legislator I want to be. “And so I really, really want and need to continue — and will continue — to focus on how we change the way that we look at education, the way that we deal with schools, school safety, mental health,” she said. Book and the other members of the commission, chaired by Pinellas County sheriff Bob Gualtieri, are “working feverishly” to produce a report with legislative recommendations to the governor and leaders of the Senate and House by the Jan. 1 deadline. “I'm really excited to really drive some meaningful policy change,” she said.